WASHINGTON — Veterans Affairs officials strongly opposed legislative plans to extend disability payouts to roughly 90,000 veterans who claim exposure to Agent Orange during the Vietnam War, saying the move could set a problematic precedent for future benefits awards. “The science is not there, and what we do depends upon science,” said Paul Lawrence, under secretary for benefits at the Department of Veterans Affairs. But advocates for so-called “blue water Navy” veterans argued that VA officials are willfully ignoring an abundance of evidence showing veterans’ exposure to toxic chemicals, and demanding evidence that could only have been collected more than four decades ago. The bill would provide disability payouts for about 90,000 veterans who served on ships off the coast of Vietnam. At issue is a change in VA policy 15 years ago that excluded veterans serving on ships off the coast of Vietnam — known as “blue water Navy veterans” — from being included in a class of former service members presumed to be exposed to Agent Orange. For troops who served on the ground or in inland rivers, exposure to the chemical defoliant is assumed, which speeds up the medical and disability benefits process when those veterans later contract a host of illnesses related to chemical contamination. But the blue water veterans still must prove they were directly exposed to Agent Orange for their illnesses to be labeled as service-connected. Legislation passed by the House last month would force VA to extend the presumptive benefits to veterans who served aboard those ships, and use a new VA home loan fee to pay for the estimated $1 billion in costs it would incur. Lawrence said forcing VA to go against their established “scientific” standards would set a dangerous precedent in future benefits disputes. He also said processing the new claims could add $500 million in new costs over the next decade, and cast doubt over whether the new VA home loan fees would cover the costs. VA officials also testified that they already have a “liberal” policy for Vietnam War veterans who may have been exposed to chemical defoliants. Cancers and severe illnesses found among the blue water veterans, they argued, may simply be the result of aging or unrelated health issues. Several senators took exception to that idea. Administration officials and veterans groups offered contrasting views on scientific studies regarding ship-based veterans’ exposure to the chemicals, and whether runoff from the coastline could have contaminated drinking water for miles out to sea. Veterans also complained that VA summarily rejects claims even when evidence suggests those ships visited inland ports, an accusation that Lawrence said is an unfortunate exception if it happens at all. 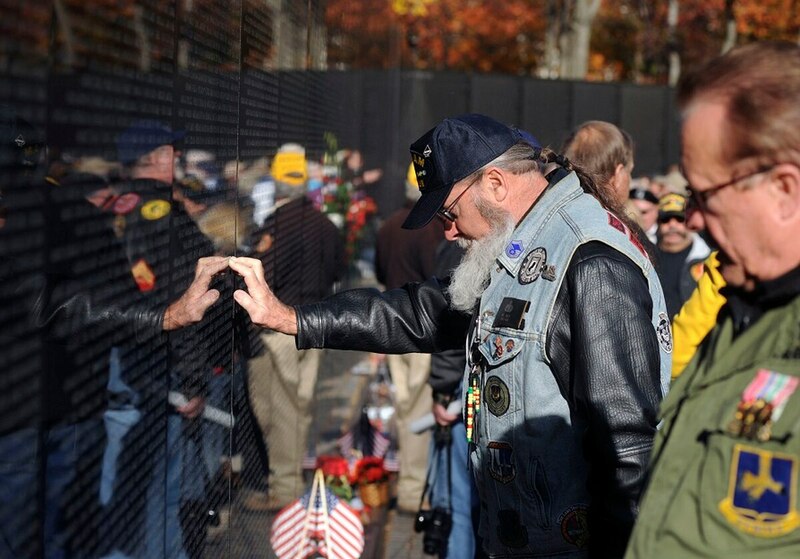 Along with the blue water veterans, the House-passed bill extends presumptive exposure status to veterans who served in the Korean Peninsula demilitarized zone beginning in September 1967 and lasting until August 1971, the same end date for the Vietnam War. Senate Veterans’ Affairs Committee Chairman Johnny Isakson, R-Ga., indicated he is hopeful a fix can be found for the issue, but also promised a thorough examination of the issue before the Senate moves ahead. Several lawmakers have pushed for quick passage of the House measure, but Isakson appears opposed to that idea. That likely means several more months of waiting before any resolution on the legislation. The Senate is scheduled to go on recess next week before working on nominations issues for the rest of August. House lawmakers aren’t scheduled back in Washington until September, and both chambers will break again in October in advance of the November mid-term elections.